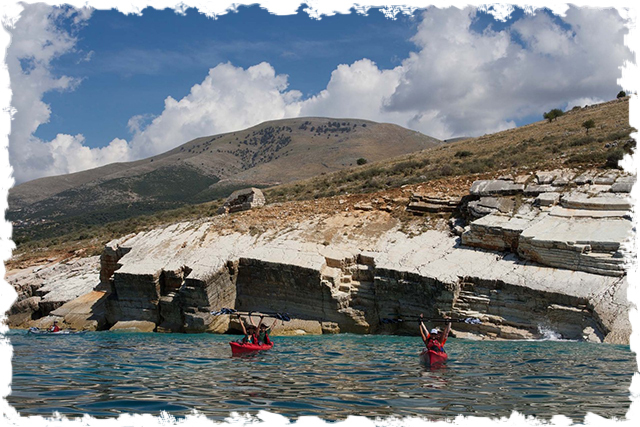 Paddling in a kayak is a great way to discover the Albanian coast at slow pace. This can be done as a day trip, or a multi-day adventure. Kayaking is a great way to spend your holiday: stopping for swims and snorkel in turquoise waters, reading your favorite book at secluded beaches or fishing and chatting with friends under the sun, discovering every hidden secret of the Albanian coast! 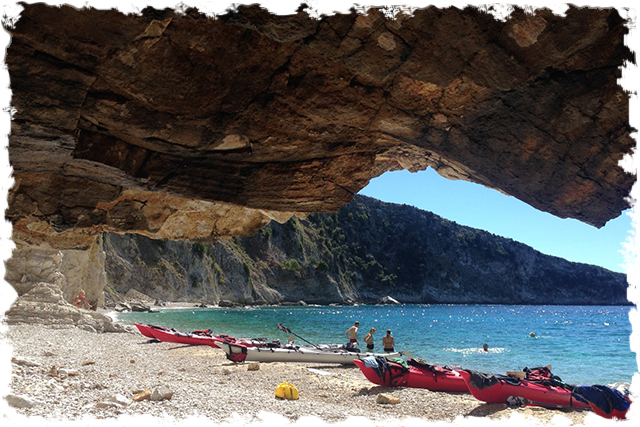 The majority of our sea kayaking itineraries run along the stunning Ionic coast aligned of jagged limestone cliffs, small hidden bays with white gravel beaches and caves of all shapes and size. The beauty of the sea is back-grounded by the 2000m high massive ridge-line of Mount Cika and the Lightning Mountains, while the foothills by the sea, are covered with olive groves, citrus trees and Mediterranean maquis. We also organize kayak trips on request in the lakes of Shkopet, Vau Dejes, Shkodra, Koman Lake, and wherever else you would like to explore in Albania. Overnight accommodation can take place in hotels, guesthouses, or camping along the coast. with A nice addition to the tour are visits to historical and archeological sites nearby, like the Old Qeparo village, Butrint Archaeological Park UNESCO World Herritage List) and the historic town of Gjirokastra (UNESCO World Herritage List). 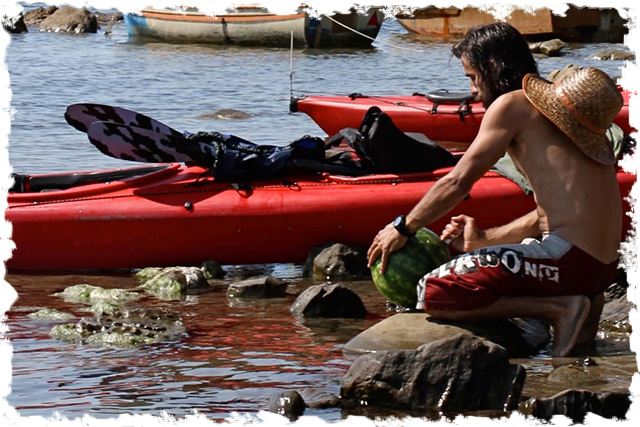 Have a look at our selection of sea kayaking tours below. All our tours are also bookable as private tours.